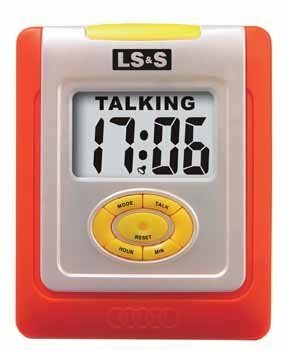 This Talking Desk Clock will brighten any room. Its orange and yellow color scheme make it easy to locate-ideal for low vision users. The talk button is easy to locate and press on the top. Its size lends itself to portability, so this clock is also great to use for travel.